The relatively plain April 1948 timetable, with a drawing of an Avro Tudor IV on the cover. The more colourful fares list and timetable from July 1949. 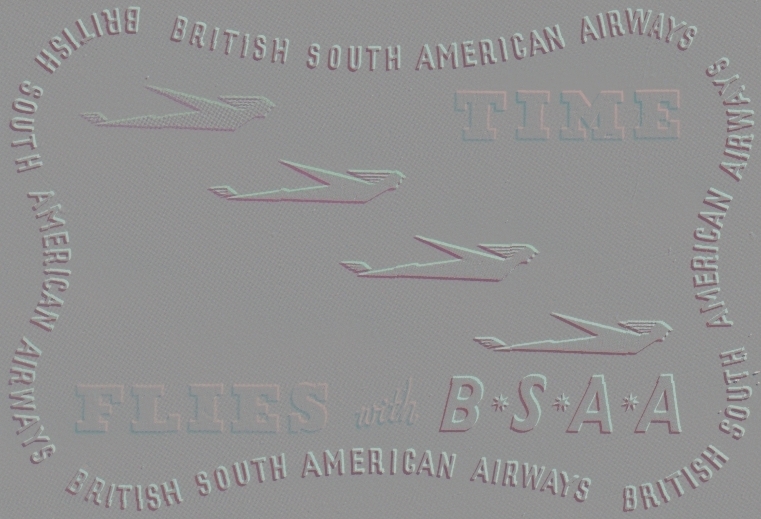 The November 1949 timetable from just after the merger, portraying BSAA and BOAC as one airline.